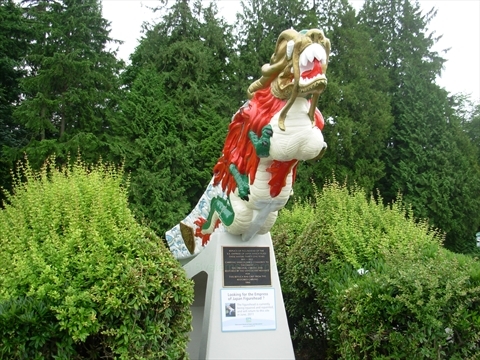 The SS Empress of Japan Figurehead is a colourful and unique monument in Stanley Park. The SS Empress of Japan was also called the "Queen of the Pacfic". It crossed the Pacific Ocean over 400 times. The figurehead was saved from being thrown away and restored by the The Province newspaper. It was put in Stanley Park in 1927. The original started to deteriorate so this is a fibreglass replica. 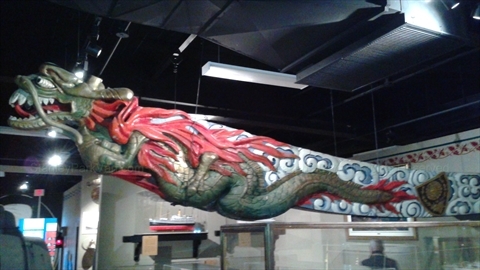 The original restored figurehead is in the Vancouver Maritime Museum. This is probably the most colourful monument in Stanley Park and shows Vancouvers link to Asia began soon after the city was created. 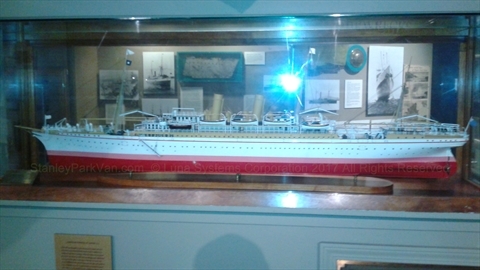 The original SS Empress of Japan Figurehead now resides in the Vancouver Maritime Museum. It hangs in a room above many ship models. 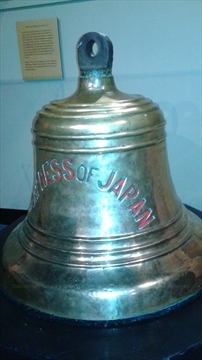 There is also a model of the SS Empress of Japan and it's original bell! Where is the SS Empress of Japan Figurehead in Stanley Park? 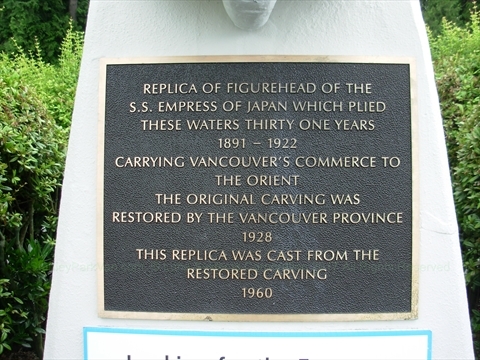 The SS Empress of Japan Figurehead is located on the Stanley Park Seawall between the West and North Vancouver Lookout and Lumbermens' Arch. Next to it is the Girl in a Wetsuit statue.